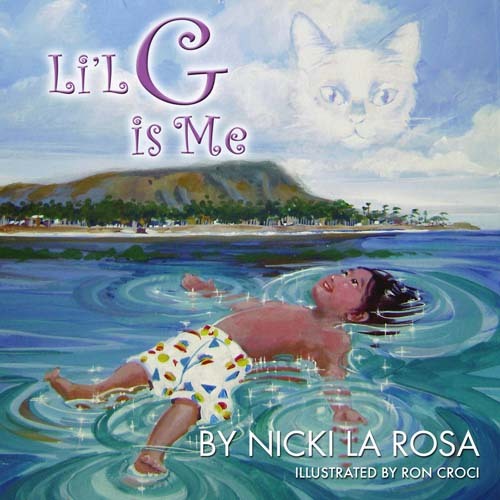 Li’l G – Nicki La Rosa ~An Abstract Artist with a Gratitude Agenda. Welcome and THANK YOU! Written by Nicki La Rosa and Caroline Brasfield – Carter for original”Li’l G” cartoon series about choosing gratitude no matter what! “Li’l G” Children’s book and digital cartoon concept were created in 2009 after the passing of my beloved cat, Jimmy. The story is about facing the loss of an animal friend by choosing to focus on the time shared with him rather than as a ‘loss.’ It will be one of the first series to run on Gratitude Tree Network. Contact Nicki for details or to sponsor the show! Thank you Caroline for lending your beautiful voice to the Li’l Gingle! !